Scaling the Summit: On the 7th of June, less than eight hours after saying final good-byes to the private practitioners attending the Deal of the Year Awards Banquet, CEE Legal Matters greeted the hundred plus in-house counsel attending the fourth annual regional General Counsel Summit, located this year at the Congress Center of Prague’s Czech National Bank. With the Greek peak summer holiday season fast approaching, hosts leasing out their properties through sharing-economy digital platforms are seeking the best way to make themselves compliant with the applicable regulatory framework. With less than a month before it eventually rolls out across the EU, the GDPR is still treated by many businesses as a complicated piece of legislation triggering serious debate between professionals and regulators and imposing a heavy compliance burden for large organizations. However, the GDPR implementation date – May 25, 2018 – should be looked at more as a starting line rather than a hard deadline, providing organizations with the opportunity to map – through their search to identify any personal data processing – both their entire corporate life and their day-to-day operations. Despite the severe economic crisis Greece has been facing over almost a decade, the country’s performance in dragging in foreign investment throughout the years has established a rather impressive track record. So far, 2017 has definitely been a year of increased economic, commercial, and corporate activity, and of gradually improving financial circumstances. Almost four years ago, under pressure from its European partners and the IMF exercised by means of economic adjustment programs and loan agreements broadly known as “memoranda,” the Greek State adopted a new tax procedural code. The latest amendments to the Civil Procedure Code of Albania (CPC) which will enter into force in November 2017 are designed to increase the efficiency and performance of the country’s judicial system. 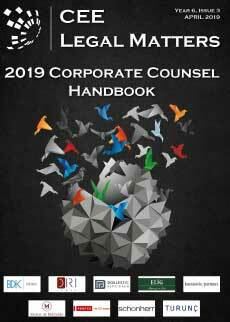 In The Corner Office, we invite Senior and Managing Partners at law firms from across the region to share information about their careers, management styles, and strategies. For this issue, we asked them to describe their least favorite part of their jobs. Drakopoulos Greece has advised Hellenic Petroleum Group of Companies with respect to the group’s compliance with the General Data Protection Regulation. Almost nine years since the onset of the Greek debt crisis, the country’s deep and prolonged recession has led to a substantial decline in ordinary financial activity and has swept away a quarter of Greece’s Gross Domestic Product (GDP), an aftermath usually observed in times of war.